Surviving Mars, the new title from developer Haemimont and publisher Paradox Interactive, now has an official release date. Revealed alongside a brand new trailer, fans eager to get their hands on this exciting space sim can expect the title to launch on March 15th for PC, Mac, PS4, and Xbox One. 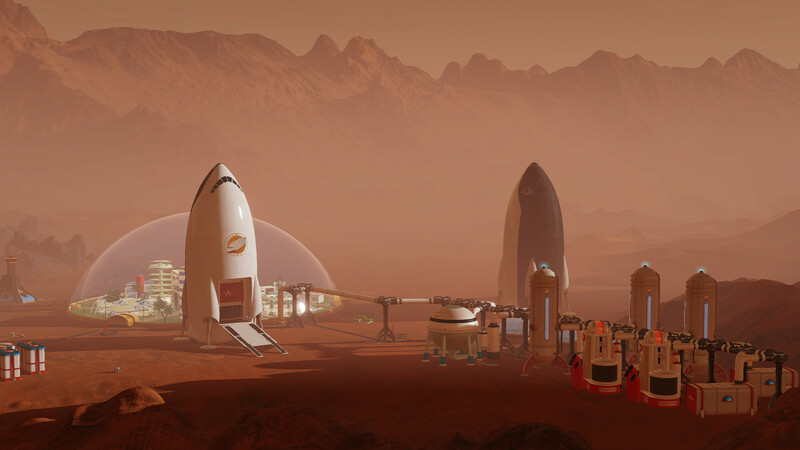 If you’re unfamiliar with Surviving Mars, the game is set on Mars (as you’d expect) with an objective of building a city and catering to the needs of your city’s colonists. Additionally, aliens and political complications arise to spice up the gameplay of Surviving Mars, helping to separate it from other space sims. “We feel that strategy and management games are at their best when they let the player experience the unique story being told by their decisions, and Survivng Mars is going to have that in a big way. Your colonists aren’t just working to improve production, they’re struggling to survive, and their conflicts and concerns are intense," Dobrev explained. As mentioned above, Surviving Mars is due out on various platforms March 15th at a price point of $39.99. And to get an even better feel for the game, be sure to check out the latest trailer down below!